There are not many designers who experiment in such a progressive and extraordinary way in the world of lighting like VANTOT does. 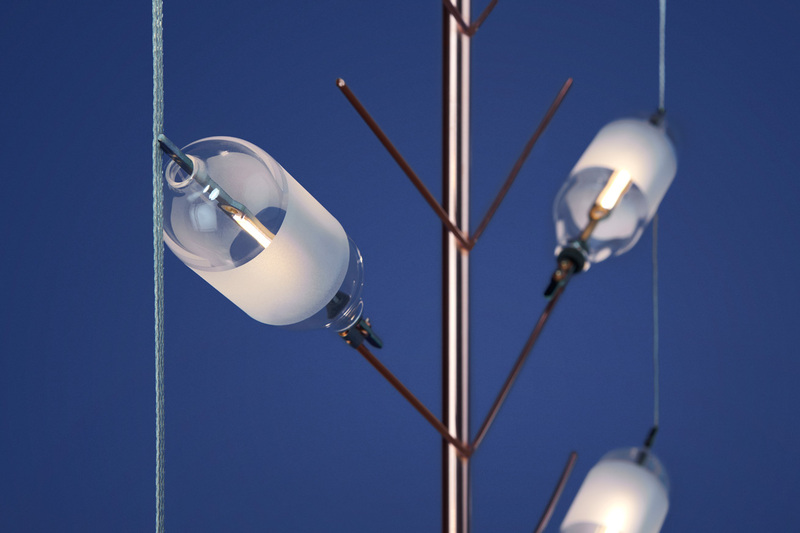 From LED to solar cells, Esther Jongsma and Sam van Gurp have become lighting experts. If it were up to the designers, you could simply touch electricity, and electrical components would be shown as a full part of the design and not hidden away in multiple sockets or thick insulated cables. It’s noteworthy: last year VANTOT travelled to the Salone del Mobile in Milan for the first time to present itself at Ventura Lambrate. ‘It was an instant success’, says Esther Jongsma. ‘In addition to visibility, we received many international applications, were asked to participate in various exhibitions, and talked to serious brands, galleries, the press, and visitors.’ It left them wanting more. 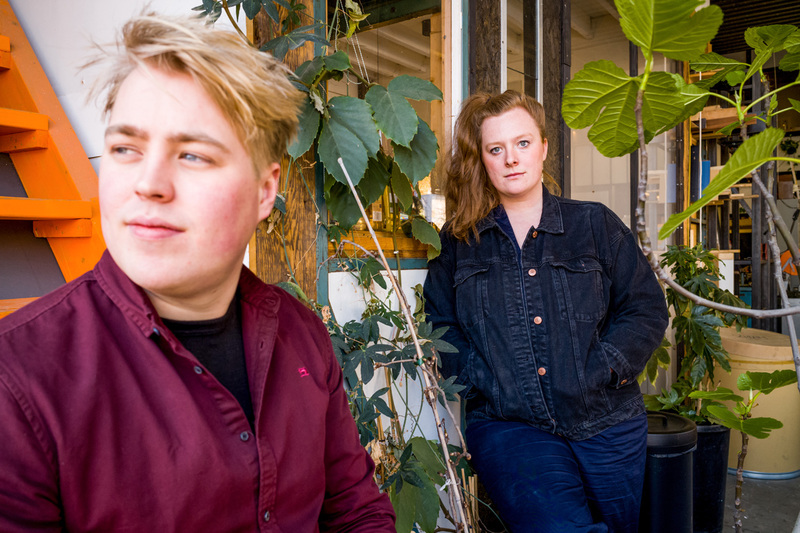 This year, Esther Jongsma and Sam van Gurp take a new step: they have been selected by the Consulate General in Milan for Salone Satellite 2018. This is the perfect moment to present new work to a large audience. The place fits like a tailored suit, given the new and more commercial road the designers are taking. 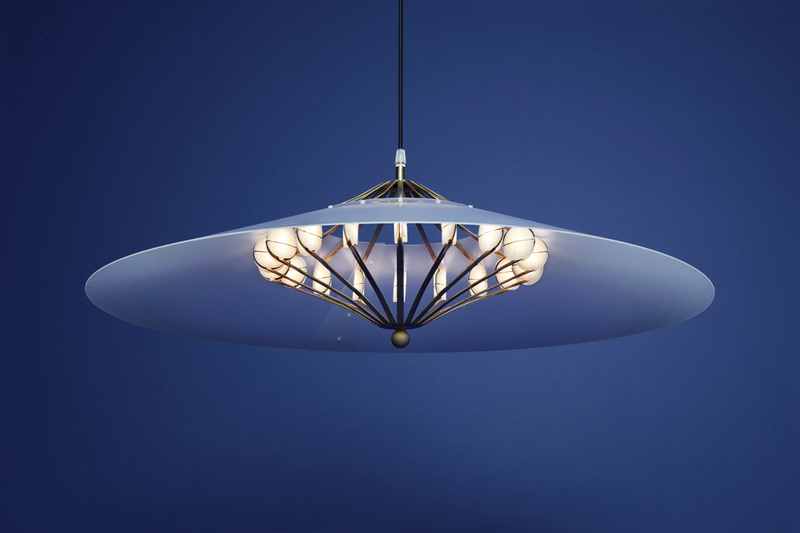 VANTOT started with a ‘classic’ light fixture, followed by lamps entitled Current currents, with electrical components that are not hidden. Current Curtain emerged from this series of innovative lightning: a circuit of interconnected elements that forms a poetic and aesthetic architectural curtain of light. This led to the latest version of the spatial Current curtain made for Salone Satellite 2018. ‘The grid is broadly the same,’ explains Jongsma, ‘but we apply new materials and graphic forms, such as glass elements that are mouth-blown in the Czech Republic.’ With this the designers have created a surprising new wall of light. VANTOT is also represented elsewhere in Milan. In the historical Museo Diocesano, the architectural firm Space Encounters designed Bar Anne. It is named after curator Anne van der Zwaag who selected a group of talented designers to produce something that benefits the interior of the large bar. 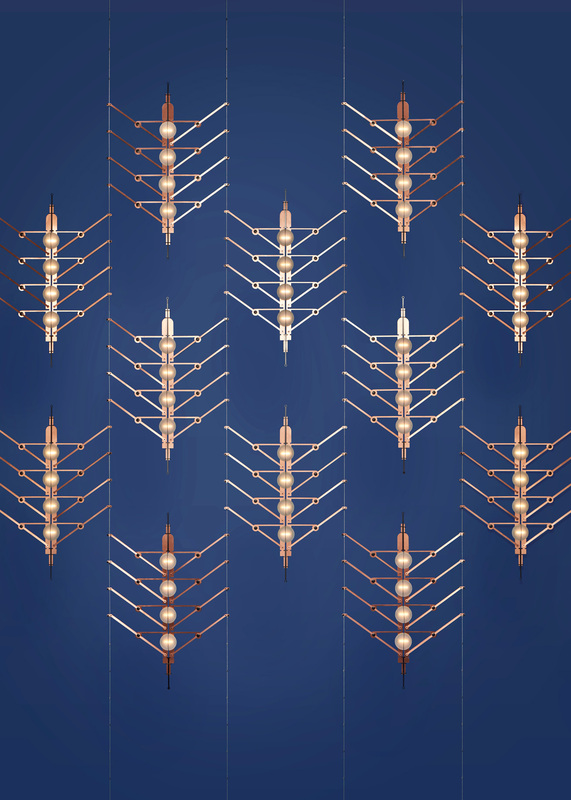 VANTOT literally puts new lighting in the spotlight and, together with Klaas Kuiken, designs one of the spaces of the rebellious bar in a special way. In the meantime, VANTOT continues to focus fully on the transition of light. In future, the light bulb with fitting, cord, and plug will belong to the past, the designers say. Instead, you will have a spatial curtain of light. And a lamp no longer needs to hang above the dining table because you bring the light towards you and take it with you as you move through the room. If it were up to VANTOT, you could charge your lighting using solar power. Their remarkable Sunseeker won the SolarSquare Design Challenge 2017, in collaboration with the Dutch Design Foundation. The assignment – develop a lighting design for the public space around the Stadhuisplein in Eindhoven – was answered by VANTOT with a concatenated poetic pattern of light modules that behave like nature: in search of the sunniest spot, the modules move to the lightest point on the line of the Sunseeker. it will soon lead to a Sunseeker hanging above the walking path in the city park of Eindhoven, while passers-by interact with this beautiful and smart light. This interview was published in the magazine The Dots no.15 and distributed during the Milan Design Week 2018 where work by VANTOT was presented at BAR ANNE and Satelite.